Kybella® is a non-invasive double chin treatment that is FDA-approved. With age, excess skin and fat tends to accumulate around your neck, giving you and older-looking appearance. A Kybella® treatment creates a more contoured neck without a double chin or loose neck skin, reducing submental fat. Submental fat is the name given to the excess fat that forms under your chin and along your neck. Stubborn and persistent, submental fat can be extremely hard to treat through proper diet and exercise. At Asaadi Plastic Surgery, we can help you achieve a youthful-looking neck and facial profile by precisely targeting submental fat cells with Kybella® injections. What Are Kybella® Injections For Double Chin? 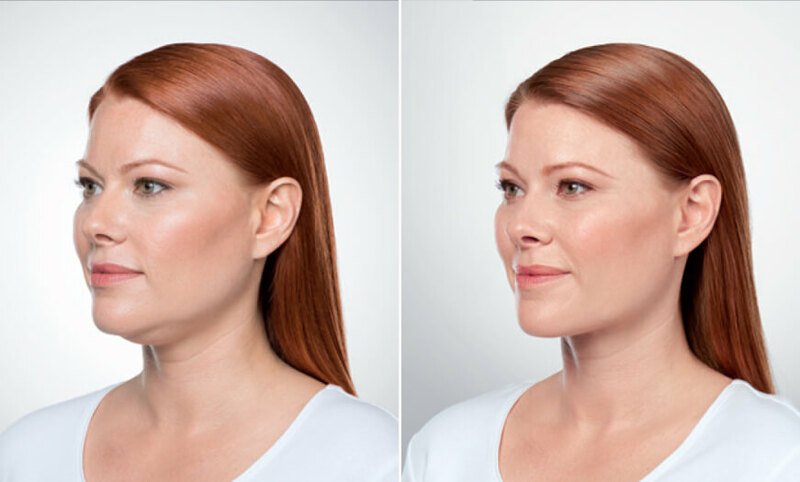 Kybella® targets submental fat and reduces the appearance of a double chin or submental fullness. A Kybella® procedure is an effective neck fat treatment because Kybella® injections specifically target and destroy stubborn fat cells in the neck, while not harming other healthy surrounding cells. By targeting only fat cells, Kybella® is a safe non-surgical double chin treatment that is scientifically engineered to contour your jawline by reducing submental fullness. Kybella® is composed of deoxycholic acid, which is naturally produced and found within your body. Deoxycholic acid aids in your body’s absorption of your excess fat reserves. Because fat cells are destroyed and not shrunk, these cells can no longer gain or regain accumulations of fat, providing you with a youthful-looking neck in as little as 1 non-surgical Kybella® double chin treatment in our New Jersey or New York office. Kybella® injections are a simple in-office procedure that takes Dr. Asaadi just 10-15 minutes to administer. 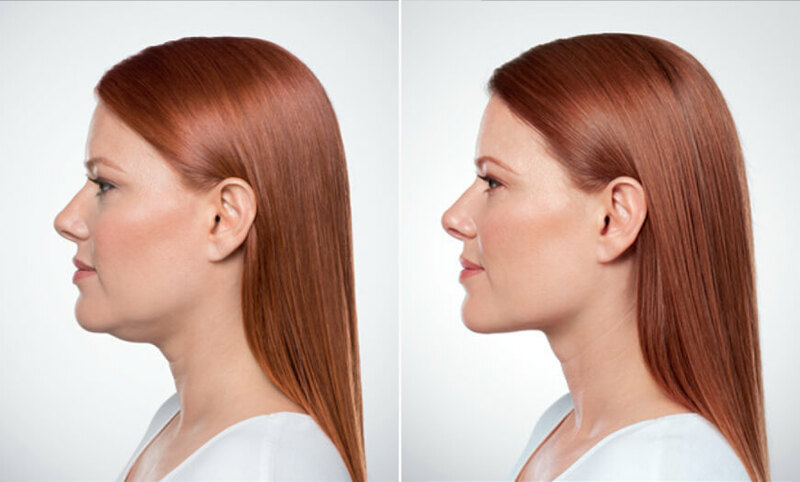 The length of your Kybella® treatment will vary depending on your individual case of submental fullness, the distribution of neck fat, and how many Kybella® injections will be needed to properly treat excess submental fat. What Can I Expect Before My Kybella® Double Chin Treatment? We offer Kybella® in NJ and NY with our plastic surgeon Dr. Asaadi. A Kybella® consultation with our Kybella® doctor will begin with an examination of your neck and an assessment of submental fullness to determine if Kybella® injections are right for you. Dr. Asaadi will create a personalized Kybella® procedure to meet your individual needs to guarantee the best possible results. The amount of Kybella® injections needed will vary depending on your individual case of submental fullness and your personal goals. Dr. Asaadi may divide your neck fat treatment into sessions to maximize your results. The number of Kybella® sessions you need will depend on your particular case of submental fullness. Kybella® sessions are scheduled at least 4 weeks apart to allow time for Kybella® to properly process the fat cells under your chin. Dr. Asaadi may divide your Kybella® treatment into 6 separate Kybella® sessions for the most pleasing results. The ideal Kybella® candidate is a patient looking to treat submental fullness. Both men and women can experience the benefits of Kybella®. 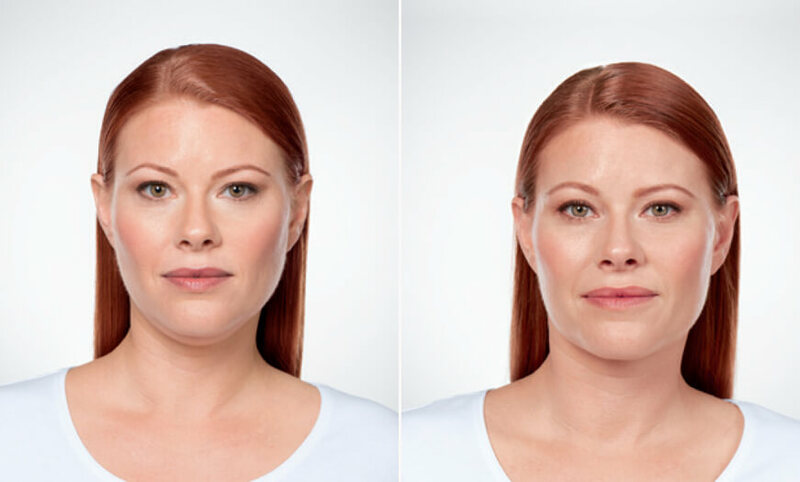 Kybella® may be right for you if you would like to treat a stubborn double chin or excess submental fat without the downtime associated with traditional surgery. You may not be eligible for Kybella® injections if you have had or continue to have a medical condition of the neck or an infection of the neck. Certain daily medications may need to be stopped prior to your Kybella® procedure. Ideal Kybella® candidates have realistic expectations with what Kybella® can help them achieve. There is little to no downtime associated with Kybella®. Common side effects of Kybella® may include mild to moderate swelling, discomfort, redness, or bruising at the injection site. It is not uncommon for some patients to experience firmness at the injection site. These symptoms will subside in the days following your double chin treatment. The majority of patients are able to return to their regular activity shortly after receiving Kybella® injections. Kybella® results are long-lasting because a Kybella® treatment destroys stubborn fat cells, which means these fat cells can never accumulate excess fat again. While some patients may see results after just 1 Kybella® treatment, other patients may require additional Kybella® injections and sessions for the best possible results. Most patients need only 2-3 days of rest to properly heal after a Kybella® procedure. The majority of patients see continuing results in the days and weeks after their Kybella® treatment, which may continue to improve with additional Kybella® sessions. It is important that you choose a skilled Kybella® doctor who understands your individual anatomy, as every patient’s facial structure is different. Dr. Asaadi stresses the importance of choosing a qualified, experienced, and board-certified plastic surgeon when considering Kybella®. How Can I Get Started With Kybella®? Dr. Mokhtar Asaadi and our staff will be happy to discuss Kybella® with you. Please contact our New Jersey office at 973.731.7000 or our New York office at 212.938.0158 to schedule a private consultation. You may also request an appointment online to meet with our Kybella® doctor.